At the center of our life together is the Divine Service of Jesus Christ. Our Sunday service is a weekly remembrance and celebration of Jesus’ victory over sin, death and the devil through his death and resurrection. We also gather for other times of daily prayer, such as evening services during the seasons of Advent and Lent. We are a liturgical church. That means we follow the ancient forms of worship used by Christians for thousands of years. We follow these forms because they are an excellent way for us to focus our worship on the center of our faith—Jesus Christ. We understand that some of these forms may be unfamiliar to some of our guests. But we welcome you to visit, watch and listen. Also, feel free to ask questions—the pastor and the ushers stand ready to give directions and answer questions. Our services are open to all people—members and visitors alike. People of all ages are also welcome to attend. Parents with small children do not need to feel uncomfortable about bringing their children to church. Jesus wants the little children to hear his Word too. If parents feel their children’s noises are disrupting other worshipers, a nursery located in the back of the church blocks out unwanted noise while allowing parents and children to still hear and see the service. 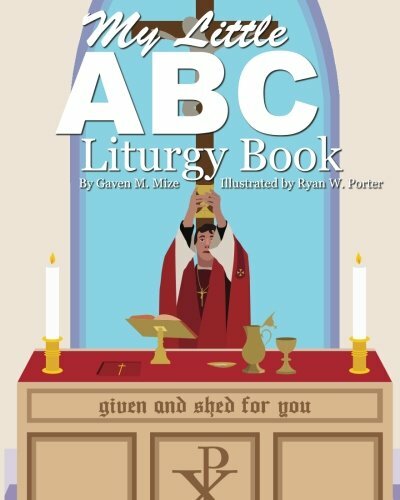 The books shown at the bottom of the page may be useful for teaching children about church. The Lord’s Supper is celebrated each Sunday at St. John’s. We believe that participation in the Lord’s Supper should be preceded by instruction in the teachings of Scripture and of our church, concerning this sacrament and other important articles of faith. We also believe that such participation serves as a public testimony of unity in faith among those who are communing together. We therefore do not follow an “open Communion” practice. We invite our guests to attend and hear Jesus’ Word with us. We do ask that our visitors wait to receive the Lord’s Supper with us until you have spoken with our pastor. We understand that this Holy Supper gives great and powerful gifts. In this way it is like a strong medicine. And just as a doctor does not prescribe medicine to a patient he has not examined, lest he cause harm to his patient, the pastor seeks to care for souls and not to do them harm. Our pastor is more than willing to explain our worship practices in more detail, and to study the Bible with anyone who wishes to know more about the teachings of the Lutheran Church. An introductory study on the teachings of Scripture and the Lutheran Church is offered throughout the year to those who wish to learn, to review, or to explore the possibility of membership in our church.